In some years Tundra Swans use Fish Lake as a major migratory stopover in the spring, and the lake is a sea of white. Even in years when they do not land, many large flocks fly over the area. Three Trumpeter Swans were on Fish Lake regularly through the summer and fall of 1989. 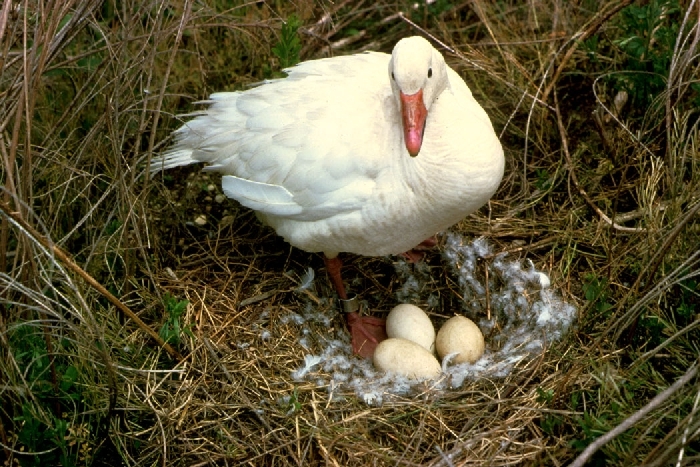 With the reintroduction of Trumpeter Swans into Minnesota, it is not unreasonable that they will eventually breed at Cedar Creek. 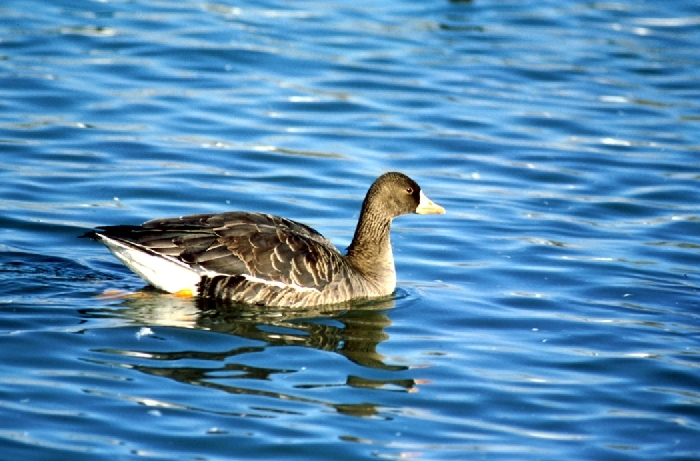 A White-fronted Goose was present in the Beckman Lake area from April to June 1982. Snow Geese are uncommon migrants at Cedar Creek, seen flying over the area. Canada Geese are common during migration on the small ponds at Cedar Creek. The first three recorded broods at Cedar Creek were in 1987 on Fish Lake. Canada Geese have had broods on Fish Lake in 1988, 1989, 1990, 1991, 1992, 1993, and 1995. Canada Geese have markedly increased at Cedar Creek in the 1990's. 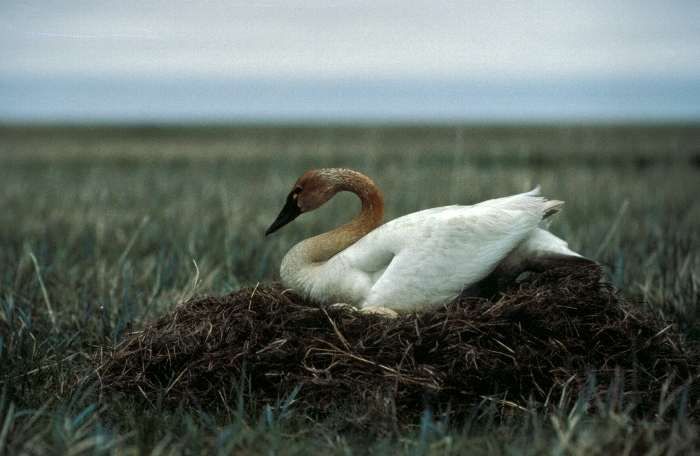 They have nested on muskrat and beaver lodges in the marshes southwest of Fish Lake. Four geese were on Cedar Creek at 26 on December 17, 1995.